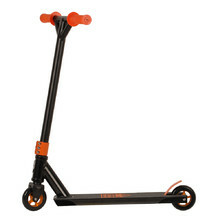 U-ramp scooters, scooters for trick performing. 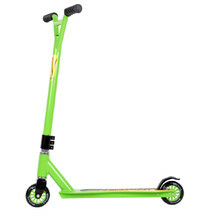 Riding on freestyle scooters is great fun. 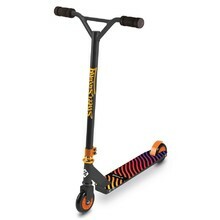 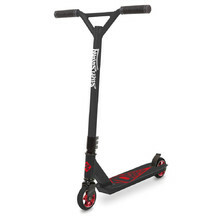 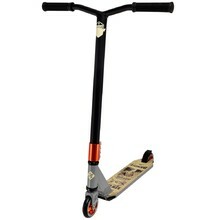 Scooters with small wheels and lightweight frame perform the best tricks in freestyle parks or just on the street for fun. 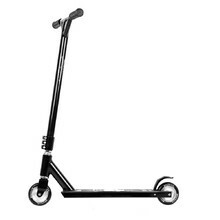 We recommend you wear a helmet and protectors while riding a freestyle scooter. 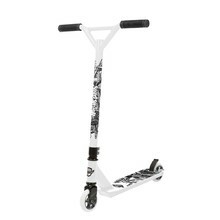 Freestyle scooter, steel fork, BMX 360° swivel handlebars, braced aluminium deck. 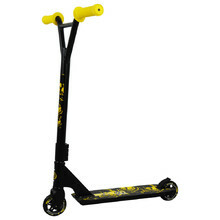 Freestyle scooter, steel fork, BMX 360° swivel handlebars, braced aluminim deck. 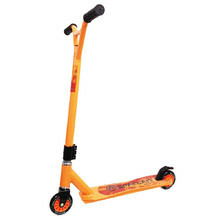 Durable NECO headset, 3-point sleeve, aluminum wheel cores, TPR grips. 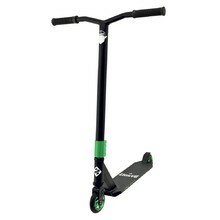 4-point socket, HIC headset, wide deck, soft handle grips. 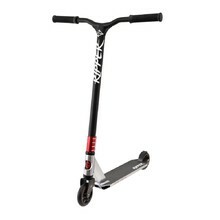 4-point socket, HIC headset, wide deck, CNC fork provides unique design. Aluminium scooter with large wheels - 100 mm. 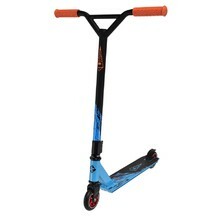 Lightweight frame, suitable for ramp riding, one-piece handlebars. 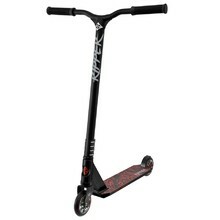 IHC threadless headset, strong-walled aluminum structure, 360° handlebars. 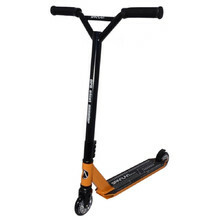 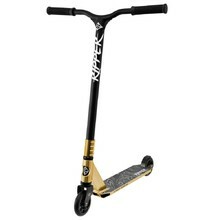 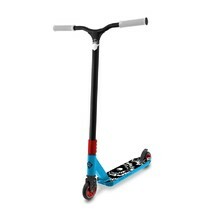 Freestyle scooter, steel fork, 360° BMX handlebars, reinforced aluminum footboard.